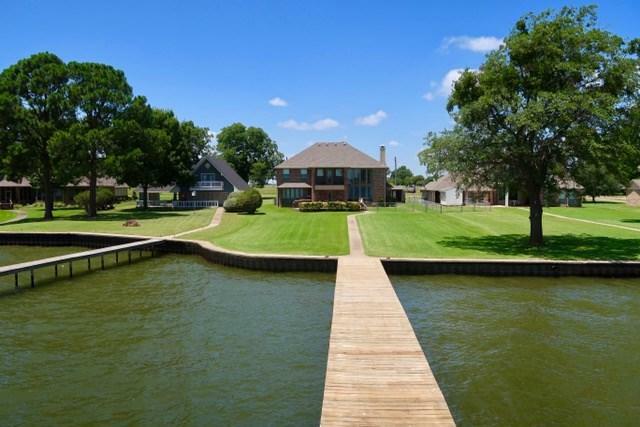 ABSOLUTELY GORGEOUS 4-2.5-4 BRICK & STONE HOME ON WIDE OPEN WATER. APPROX. 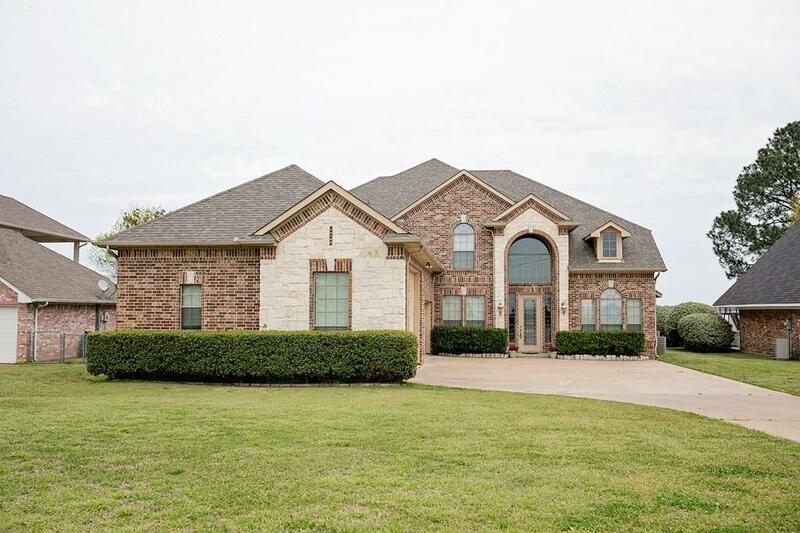 3800 SQFT WITH SOARING CEILING IN LIVING, STONE FIREPLACE, AND WALL OF WINDOWS. HUGE ISLAND KITCHEN WITH GRANITE CUSTOM CABINETS, PANTRY, DESK, WINE RACK, & MORE. HAS FORMAL DINING, PARLOR, & ART NICHES THROUGHOUT. 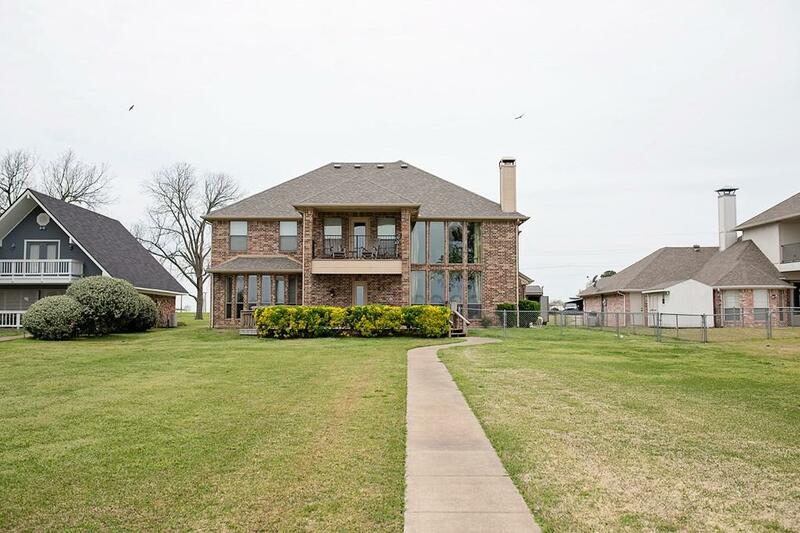 LARGE MASTER ON WATER SIDE WITH DOUBLE SIDED ELECTRIC FIREPLACE, MASTER BATH HAS SEPARATE TUB & SHOWER. HAS UPSTAIRS LIVING WITH BALCONY FOR INCREDIBLE VIEWS. WONDERFUL UPSTAIRS MEDIA ROOM. 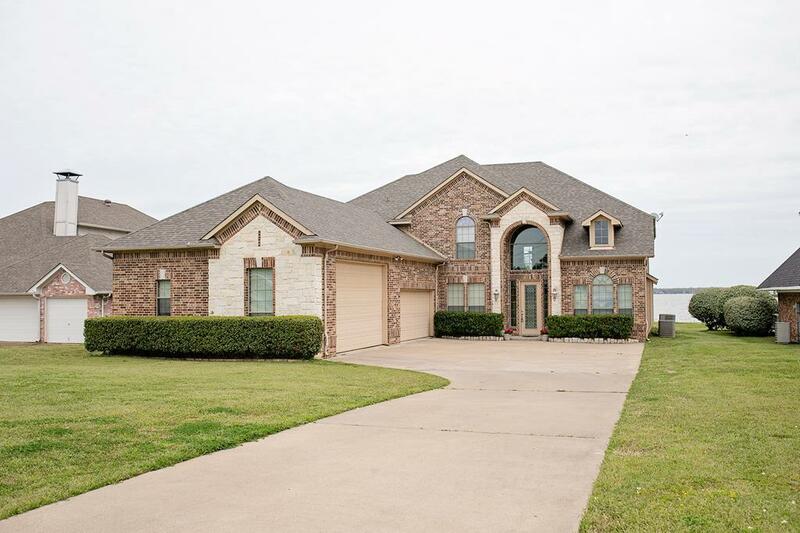 LARGE 4 CAR GARAGE WITH TALLER DOOR & 12' CEILING, HOT TUB ON DECK. LARGE BOATHOUSE WITH PARTY DECK. Listing provided courtesy of Buck Gentry of Coldwell Banker American Dream Realty.